The Advent season has four weekly themes ~hope, peace, joy and love. This week, the first week of Advent, the theme is hope. Hope is also our word for today. In a book I'm reading about the Christian Year, author Bobby Gross says that the four weeks of Advent can "train us in hopeful waiting". Throughout the Old Testament the prophets spoke of a Messiah that would come and serve as the King of the Jews. This Messiah would free the Jewish people from oppression and He would rule the world. For centuries the Jewish people looked for signs that He had arrived. They waited in hope for the One who would be their salvation. 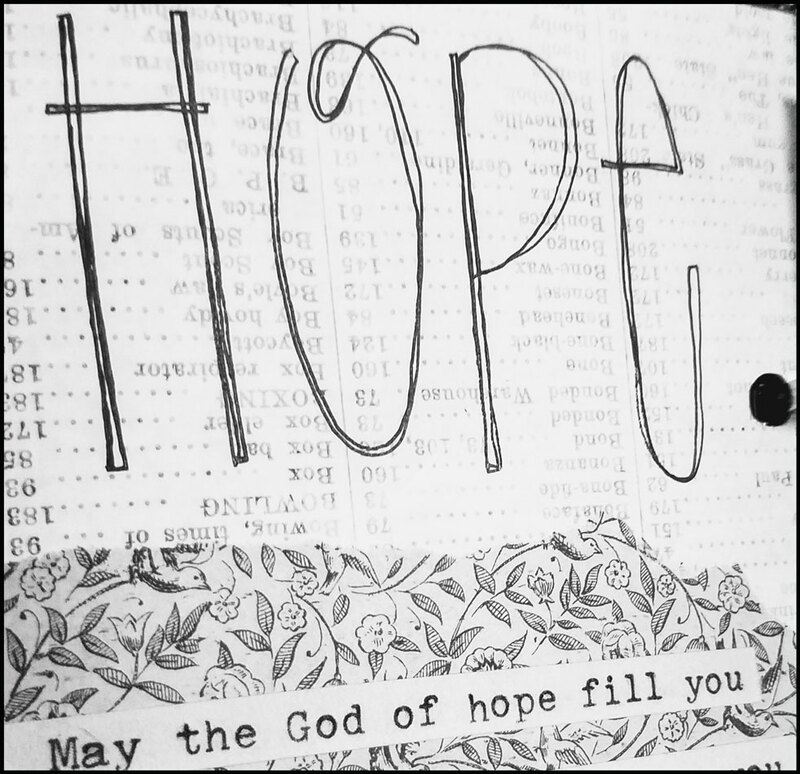 In Paul's letter to the Romans he wants to assure the Gentiles - his readers then and now - that the Messiah (the root of Jesse) the Jews waited for is also our hope. 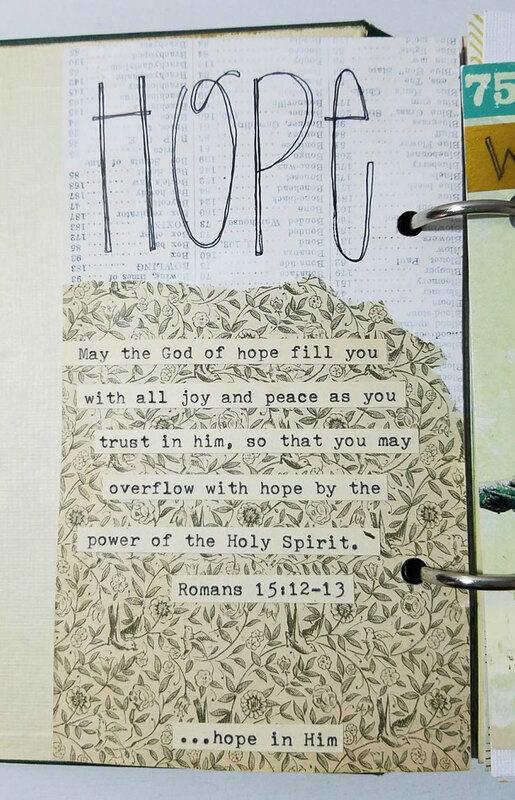 Take some time and read the whole passage, Romans 15:1-13, and you will see that hope serves as bookends for this passage. Verse 3 points us to the purpose of the Scriptures, that they were written to teach us, "so that through the endurance taught in the Scriptures and the encouragement they provide we might have hope." God has provided His Word to instruct us, but not simply in ways that build our knowledge, but in ways that impact our lives and build our faith in order to produce hope in us. He goes on to point out that in His life here on earth, Christ became "a servant of the Jews on behalf of God's truth, so that the promises made to the patriarchs might be confirmed (those promises of the Messiah throughout the Old Testament) and, moreover, that the Gentiles might glorify God for His mercy." (verses 8-9a). 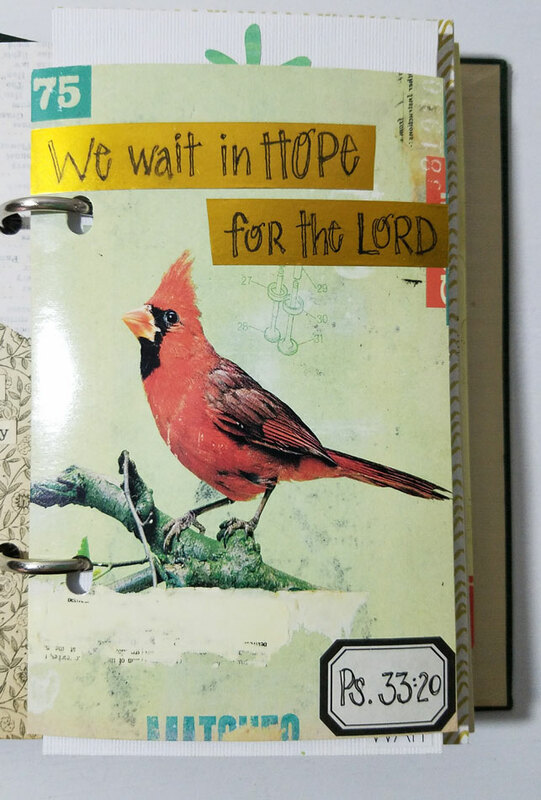 The next few verses (9b-12) point to what was written in Isaiah, that the hope the Jews had in the coming Messiah was meant for the Gentiles as well. We have what we didn't even know we longed and hoped for. In this season of Advent we can connect our hearts with the longing and hope the Jews had so many centuries ago as they waited for their salvation, for the Messiah. We can, at the same time, rejoice that for those of us who have a relationship with Jesus, we have our promised salvation. In the Advent season we focus on three comings of Christ: His first coming, his arrival in history as baby in a manger, His second coming at the end of time, and His coming into our own lives in Spirit and power. 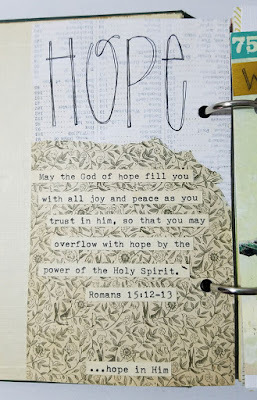 With Paul, I pray that "the God of hope may fill you with joy and peace as you trust in him, so that you may overflow with hope by the power of the Holy Spirit". 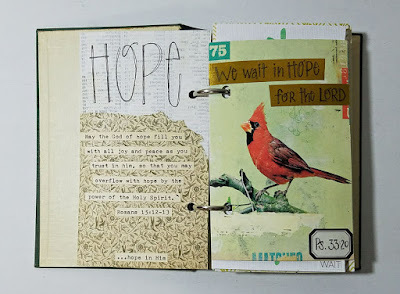 May our times in the Scriptures and our times creatively connecting it through art enable us to connect with the hope that we have in Christ ~ who has come, is coming and will come again. If you have not already joined our Advent Words 2017 Facebook group I encourage you to join us. 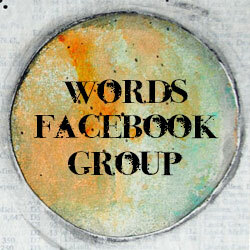 Click on the link above or on the group badge to the right.